Candidates applying against all disciplines through HPCL Recruitment must not exceed the upper age of 25 years and below 18 years as reckoned on 01-10-2018. 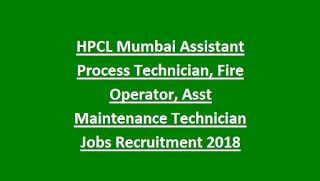 Candidates seeking position at HPCL Mumbai Refinery must have passed 12th class and secured Regular Diploma course in the concerned trade from a recognized University. Selected candidates will be appointed on a proposed salary of Rs 47,800/- per month. No application fee for filling against any Post offered by HPCL. Applicants who have successfully applied within the stipulated time will then have to appear for the Computer Based Test comprising of General Aptitude Test and Technical / Professional Knowledge. Candidates qualifying CBT will be put through a Skill Test followed by Medical Examination and Physical Fitness Test. 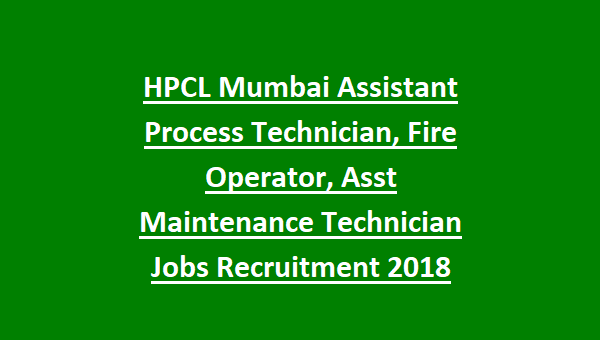 Candidates interested to join Hindustan Petroleum Mumbai Refinery can fill the online application form by logging on to http://hindustanpetroleum.com/hpcareers/current_openings before the due date i.e. 31st October 2018.